After visiting the 2017 Shot Show in Las Vegas the United States was introduced to the Kral line of rifles and bullpups. The initial reviews were all very exciting, Krals looked to be a great entry level Airgun that offered many features of even the higher end Airguns. The Krals seemed to flood the market almost overnight, several distributors even had them on pre-order. Soon after the first batch of Krals arrived the great reviews started that in turn made them even more desirable to the consumer, the problem with this was nobody really knew much about the guns other than on the surface and short term use. After several weeks some problems with the guns started popping up around various forums. Several well known tuners had made attempts to modify and remedy the problems, parts, design and materials were obviously not well thought out by Kral, leaving many customers to fend for themselves as far as service and repair. This is just a vague story of the initial problems with the guns and needs not go further. Several months ago a gentleman by the name of Roger contracted the Airgun bug and decided to make his first PCP purchase that happen to be a Kral Puncher Breaker bullpup. Over the next three weeks Roger had spent almost every weekend shooting with an elite group of Southern California Airgunners, one of whom was Ron Stephen. One weekend Roger showed up to shoot, filled his gun, loaded his magazine with pellets and “TINK”, nothing happens and the gun wont fire. Ron, being a good friend ends up taking the rifle home that day in hopes of fixing it through some help and research through the Gateway To Airguns forum . After a bit of reading Ron soon realized just how many problems he was finding and the unfortunate lack of support from not only Kral but the distributors as well. Ron finally called me and had asked what I knew of the Kral line of rifles and if I knew of anyone that had a good amount of experience diagnosing, fixing and tuning them, thankfully I was able to turn him on to a friend of mine Troy Hammer. Troy is fairly new to the forums but has been working with Airguns for a good many years and had a good amount of experience with tuning them. Troy had recently started his full time career as a professional tuner and is the proud owner of Annihilator Airguns. Over the past year Troy has spent a good amount of time with tuning the Kral line of rifles and really is the only one in the United States that will service them as well as offering several custom parts and upgrades. Don’t hesitate to visit his website and reach out for help, he’s more than happy to talk Airguns. …. and Oh BOYYYYY did we verify it ! 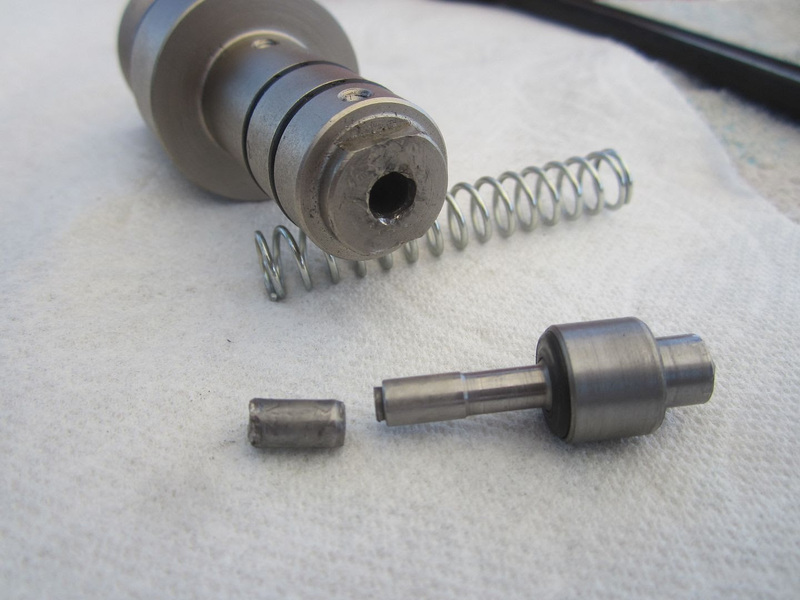 My buddies rifle not only had a broken stem, (Yes,… right at the O-ring groove), but it was also BEATEN TO DEATH ! 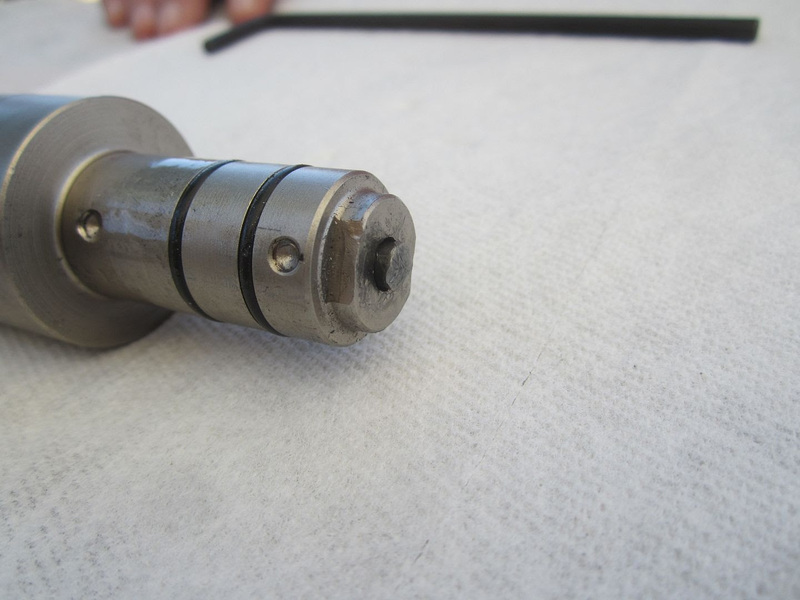 The broken end of the stem was SO Deformed and “Mushroomed”, it was wedged in the valve like a Rivet! 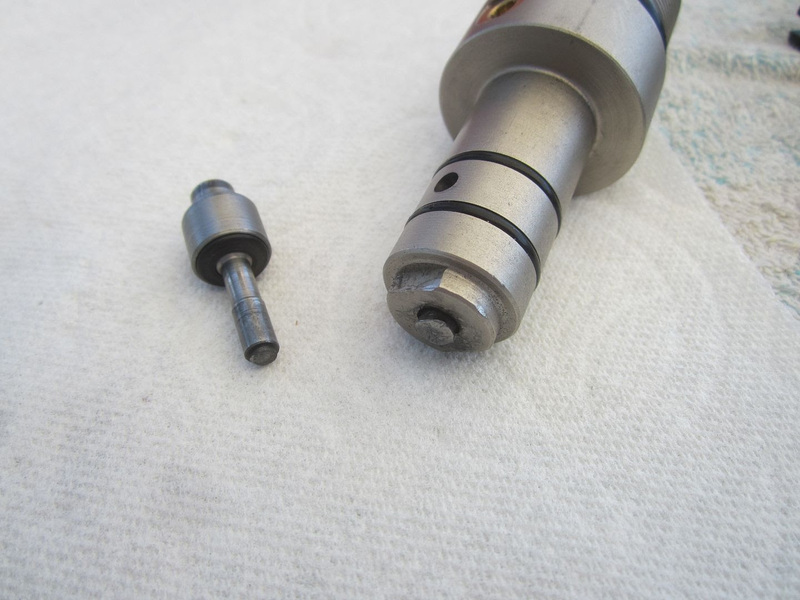 Notice in the pic Troy previously shared (of the factory stem), that the stem is chamfered on the very tip. The stem in my buddies rifle was beaten so badly, that the chamfer is completely gone, and is now severely mushroomed. 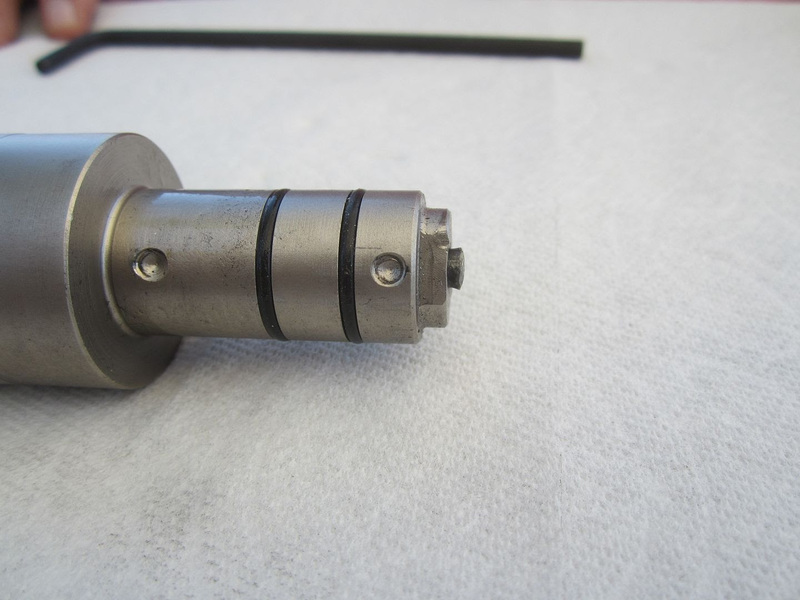 Troy and I both feel that there MUST be more to this than simply a “Weak spot” in the stem, due to the O-ring groove. 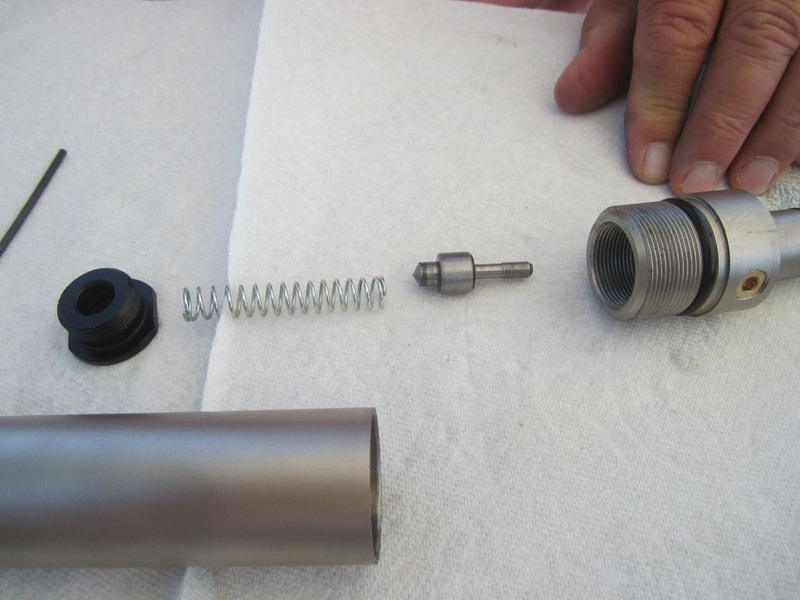 After inspecting the broken pieces, We both feel that there must be a “Bad Batch” of stems, that were Not Properly Heat Treated,… and inevitably made it into the assembly of these rifles from the factory. I tested this theory using a VERY FINE Jewelers Hand File, and I feel our suspicions are spot on. With just a couple of very light strokes of the file on the broken stem’s tip, it was quite evident this was Very VERY SOFT Steel. It basically felt like I was filing on soft butter ! No way could this material EVER stand up to several thousand strikes of a hammer. It is NOT a matter of “IF it will fail”,… it is truly a matter of WHEN it is GOING to Fail ! I want to take this moment to thank Mr. Troy Hammer of Annihilator Airguns and Tuning for his assistance and patience in taking time out of his day, with my several calls for help. 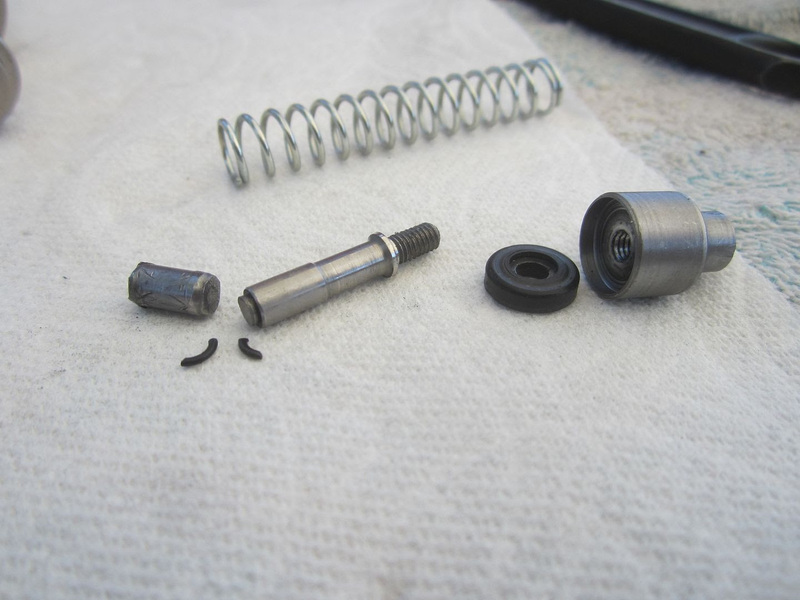 I am looking very forward to receiving his improved and upgraded Valve Stems, as well as field testing some of his other products for the Kral rifles. It is guys like Troy, who help advance the development and improvement of our sport. He is not just someone who is looking out for himself… He is a active hunter, shooter himself, and he truly wants to help those of us who can benefit from his personal experience with these guns. He is an asset to the sport, and I am glad to have met him. Hopefully we will have an opportunity one day, to share some trigger time and maybe even a hunt or two ! Find us on our YouTube channel and help by SUBSCRIBING!